I’ve been to the Olympics! Admittedly, four years late. We seem to have made a habit of missing them, arriving in Beijing – from our then home of Kuala Lumpur – to miss the 2008 Olympics by a matter of days, living on completely the wrong side of the world in 2012 and then leaving the Southern Hemisphere just as the Olympics arrived there this year. And having not yet bought a TV in London it’s even a challenge to follow from afar, so instead, Paul and I ventured over to Stratford to try and find some Olympic-magic there. I’m not sure we quite got a sense of the atmosphere four years ago, but we were surprisingly pleased by what we did find. I had heard about the stunning meadow planting that had wowed everyone back in 2012, but assumed that four years on, it may not be quite the same. So often public landscaping looks amazing at the off, but as the focus drops away, so does the brilliance and the enchantment and instead you find gaps, weeds and misfit replacements staring back at you. It makes me feel a little sad and I’m left wondering why nobody cared enough to keep it going. And, indeed, why they took on quite such a sizeable challenge if the funds and/or will was not there in the long run. I find myself mumbling, “do less, so you can do it well”, so very often. It’s often the simple things that work so well: not wow, but just gorgeous! But no. How delightfully wrong I was. Queen Elizabeth Olympic Park was completely different. 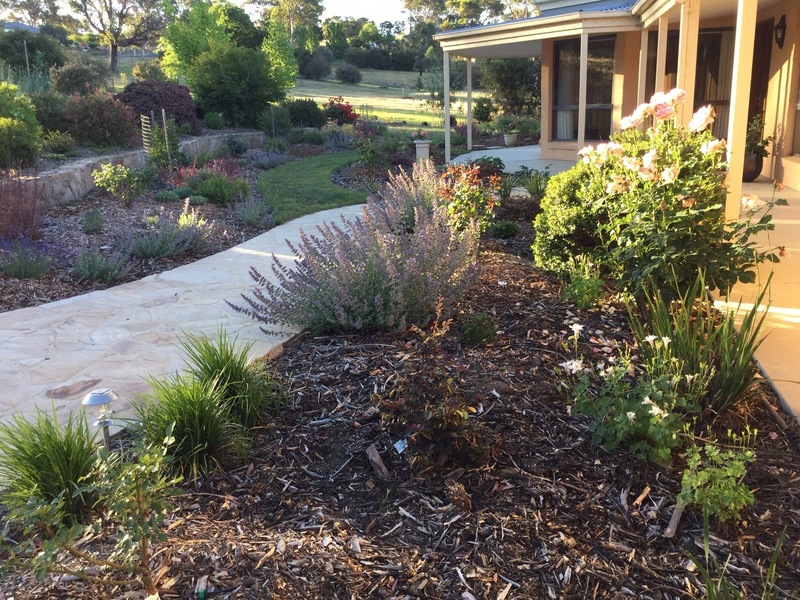 Not only had it been immaculately maintained but the feeling of establishment, developed over four years of growth, resulted in what I could only imagine to be increasingly impressive gardens. I can’t claim to have seen all the planting across the 560 acres of Olympic parkland, but I’m pretty convinced the ‘2012 Gardens’ are probably one of its highlights. Divided into four climatic zones, 250 species from around the world form four quite different spaces, all inspired by natural habitats. These pay tribute to Britain’s long history of exploration, trade and planting collecting, reflecting the resultant huge diversity and variety of British gardens today. This garden was all about prairie planting and is oh, so fashionable for it. The lovely cone flower, Echinacea, so synonymous with North America. Selecting a diverse range of plants with roughly equal heights has resulted in a very contemporary, pleasing effect. Very much a reflection of South African flora, Agapanthus and Eremurus jostled with red-hot pokers (Kniphofia) creating a bolder, chunkier look than the other gardens. The Agapanthus remind me that just this morning, as I walked along Gloucester Road, I saw someone carrying a very expensive looking, exquisitely wrapped bouquet consisting, simply, of three stems of blue Agapanthus flowers. I had a little giggle to myself and thought of all my Aussie and Kiwi friends who would find this sight equally curious. No doubt they had also had a life of careful nurture and regular feeding with special Agapanthus fertiliser! The Asian garden focuses on structure and foliage from the edges of Asian woodlands. I loved that the Buxus hedges still looked neat and tidy and enjoyed the structure they provided alongside the looseness of the neighbouring meadows. At this point I have a confession. I have some lovely photos of English-looking meadow plantings, but when I got home and studied a map of the park (must think to do this in advance next time), realised I wasn’t entirely sure if I had actually seen the ‘Europe 2012 Garden’ proper. I’ve read that it is an ‘enhanced traditional hay meadow’, so hopefully you’ll humour me and give the benefit of the doubt that the meadows I saw were indeed part of this quartet of gardens! So did I have a favourite? The answer is yes, I did. Whilst the concept of having gardens from around the world is perfect for the Olympic Games, if I had my hands tied behind my back and was forced to pick just one, it would have to be the European garden. Or at least the English-style meadow planting that I did come across. I found it entirely fascinating that I picked this one (in a way that surely only a true garden nerd can). Was it because it just felt right, given it’s location? Was it some subconscious attraction dating back to my childhood? Or was it that English designers had taken the English meadow concept and tried to shoehorn other regions into it, with mixed results? I really wasn’t sure. suggesting that they were each a representation of their natural environment, not English-meadowified versions. Try as I might, I’m still not sure which, if any, of these explanations is the correct one. All three seem very plausible. The only solution for it seems to be that I should keep travelling and exploring the world such that I can add further data to this ‘important’ research. And it seems the very first thing I need to do is book flights to Tokyo for 23 July 2020, to test out those Asian habitats whilst not missing yet another Olympic games! Considering how large the park is, you’d have thought it might be quite sparsely used. Admittedly, it was a fabulous day, but it was wonderful to see how busy it was. And even better to see how well it has been maintained. Perhaps the correlation between the two is not insignificant? I wonder how we can convince more councils of this! Sarah Raven did a TV series called Bees, Butterflies and Blooms a few years which brought some of these issues to the masses …. More programmes like these maybe? The U.K. has a wealth of excellent horticulturalists to call on …. You are right, we do have so many keen, knowledgable and passionate horticulturists here. I don’t even think it is usually a money issue with maintenance; I think it’s more about being clever with what we plant. We probably don’t yet value that upfront thought process enough. Sarah Raven’s series sounds great. Perhaps as we all become more environmentally aware there will be more will for this kind of thing. We can hope! Thanks so much, Matt. I’m glad you enjoyed it. Did you work on the Sydney Olympics landscaping? I love all of it Janna – it looks so naturalistic and messy yet lovely at the same time. What a place to be able to visit, right at your finger tips. You may need to go back and check out that Europe 2012 garden. I have spent many many weeks digging out those pesky agapanthus (a. orientalis) plants both here and at my previous garden — hundreds of plants (tough going too!) (Environmental weeds here of course). But I have kept a few because after reading some of your posts, I suddenly decided that they were far to useful (and quite pretty too) to completely rid myself of them! So I have left a group along one side of our driveway under some crab apples and birches. And teamed with another of our environmental weeds – the orange Crocosmia – they make a fine pair in a vase! Naturalist, messy, lovely. Sounds like my type of garden! I’ll let you know when I get back to the Europe garden. Blue ‘aggies’ plus orange Crocosmia sound very cheery for the house. They are definitely too good to ignore in those difficult spots; glad you’ve decided to keep a few. They are so hard to dig out though, I know! What a beautiful day you had for your explorations. The Constable sky makes a stunning backdrop for the gardens. Thanks, Marian. The clouds are amazing, aren’t they? It’s funny, I never used to appreciate clouds; always wanted that pure blue sky. But having had pure blue sky for many years in Australia, I now enjoy clouds much more. I guess variety is the spice of life! It wouldn’t have occurred to me to go to the Olympic Park now – I got that wrong. My partner and son went up for a couple of the events in 2012 and I’m jealous of the fabulous, exciting memories they have of that day. Next time I’m up in London, perhaps I’ll console myself with the planting instead. It looks great and I love those foxtail lilies amongst others (aren’t they Eremurus though – rather than Eucomis?). I tried growing some for a couple of years but they didn’t like my tender care and promptly disappeared. I read about the park in the ‘Great Gardens of London’ book and thought it could be a cunning way of wrapping a garden visit up as a sporting activity! I’m getting quite inventive in my old age. A shame you didn’t go back in 2012; I think the scale of the excitement surprised many of us. Thanks for the Eremurus prompt; definitely more foxy than pineappley. Glad someone is keeping me on my toes. Hope you make your millions with your 30 stems next year; there’s definitely more money than sense around here! I had just seen a documentary on the work they had done on the gardens after the Olympics, so I was interested to see you post, and yours was much more interesting than the documentary! Lovely to see such areas being made into places for generations to enjoy. The gardens are a delight. Gosh, I feel extremely flattered that you found my post more interesting!! The gardens were fabulous though; it’s so good to see thought put into them upfront and ongoing. And even better that they were so well used. It was a real ‘feel good’ trip! The documentary skimmed over the gardens…how dare they! But they are the most important bit! I’m taken with the North American garden.. I could have it on my slope! But I was also drawn to the Asian one and am now wondering whether my decision to take out the random berberis hedges here is entirely wise.. The North American garden would look fabulous on your slope! It clearly enjoys the drainage and your wonderful plantings are at least half way there already. I think you should keep focussing on the word ‘random’ in your second sentence. Don’t forget there was a reason you decided to take them out! if that is Eremerus then it is a Eurasian plant. South Africa has Bulbine, similar in form but not as tall. We had a rushed walk thru the park, and I still need to sort my photos. SO much we couldn’t see! 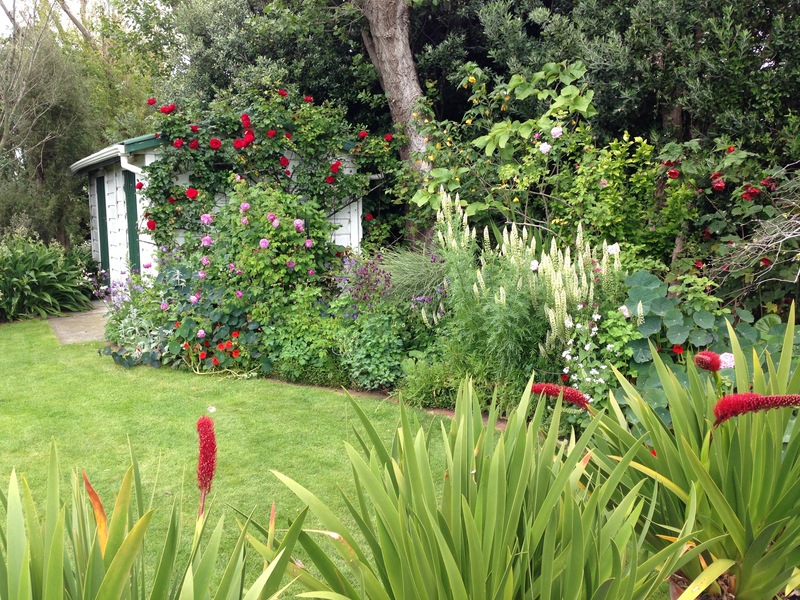 But I was very impressed by what only four years can achieve in well managed and happily used garden space. We were there for the London heat wave! Many thanks for this info, Diana. I hadn’t realised Eremurus weren’t from South Africa. I wonder how many other plants at the park weren’t strictly in the right area? It’s good to learn these things. It is a huge place, but I’m glad you got to see at least some of it whilst you were visiting. I’m sure you did see it happily used if you were here for the heatwave; we Brits can’t resist a bit of sunshine! In fact, this being my first year back in the UK after eight years living in warmer climes, we have already booked a holiday to South Africa this winter to top up on vitamin D! I’m so excited that I’ll be able to experience your flora first-hand and hopefully I’ll be able to write a little more knowledgeably about it, once we’ve been! I only know about Eremerus, from hearing David Davidson talk about the Kirstenbosch exhibit at Chelsea, the year that British customs held back our plants (2015?). He had to rush around desperately looking for the plants he needed. Some other exhibitors offered substitutes. Since he had no Bulbine, he ‘cheated’ and used Eremerus. At a glance it works. Do enjoy coming face to face with fynbos! I do. Gosh, that must be your worst nightmare as a Chelsea designer! And thanks, I can’t wait to explore your country.